Custom nylon flag in maroon and gold, emblazoned with the Norwich University crest with grommet fittings. Custom nylon flags for Norwich, Vermont and the United States. 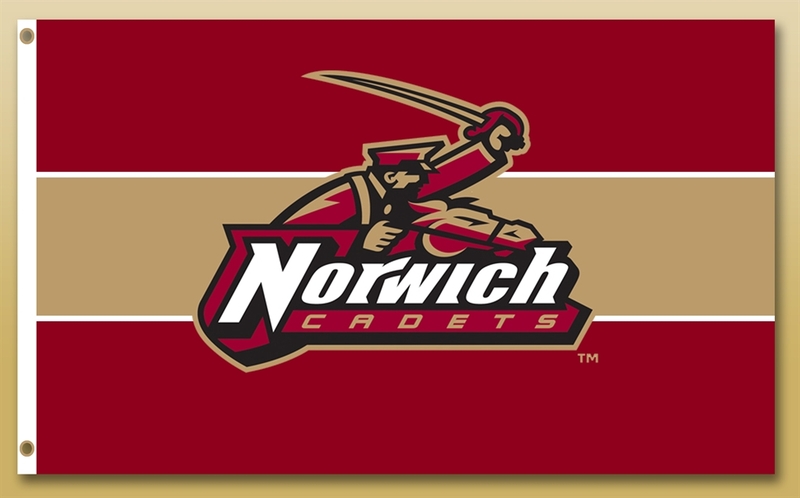 Custom nylon flag in maroon and gold, emblazoned with the Norwich University athletic logo with grommet fittings. Will items be shipped to Vermont? What type of frame would you like? Add items to your cart! !